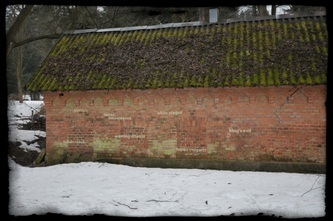 climatic-dietetic treatment. 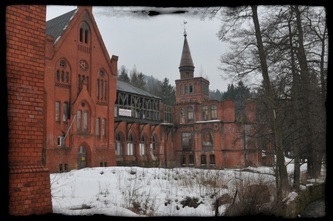 The treatment resort became famous and their methods were copied all over the world. 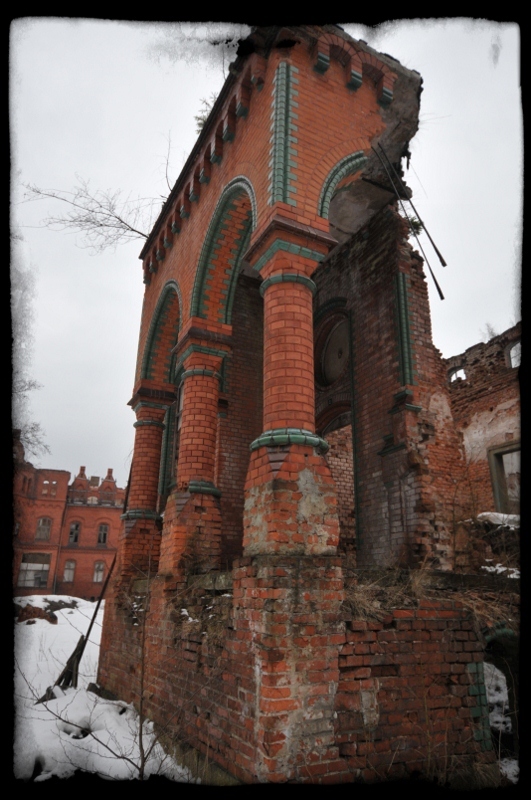 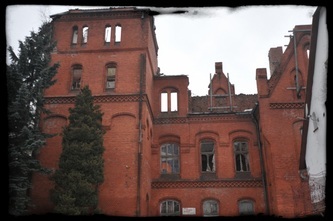 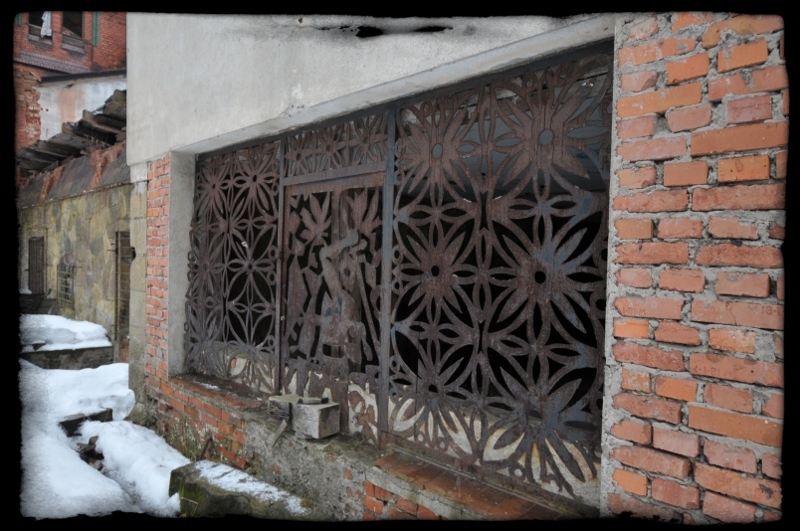 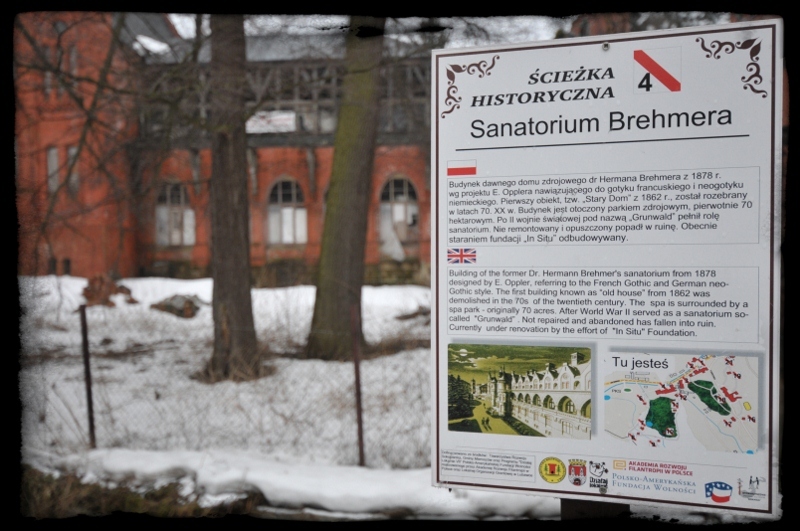 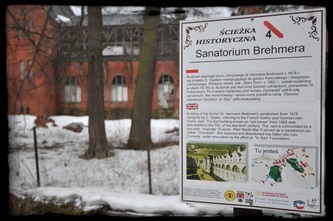 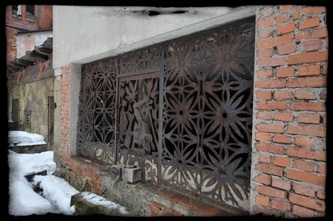 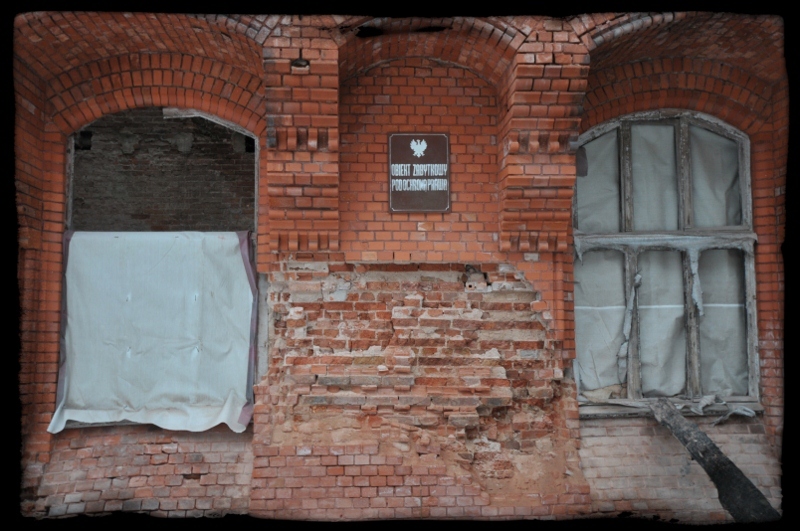 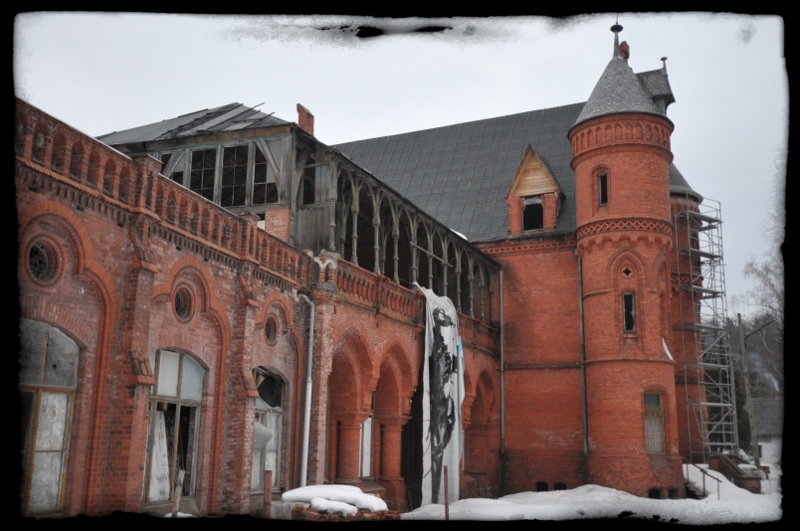 After WWII the Sanatorium came within Polish borders and the area gained its name of Sokołowsko in honour of the merits of the Polish Alfred Sokołowski who had been a close co-worker of Hermann Brehmer. 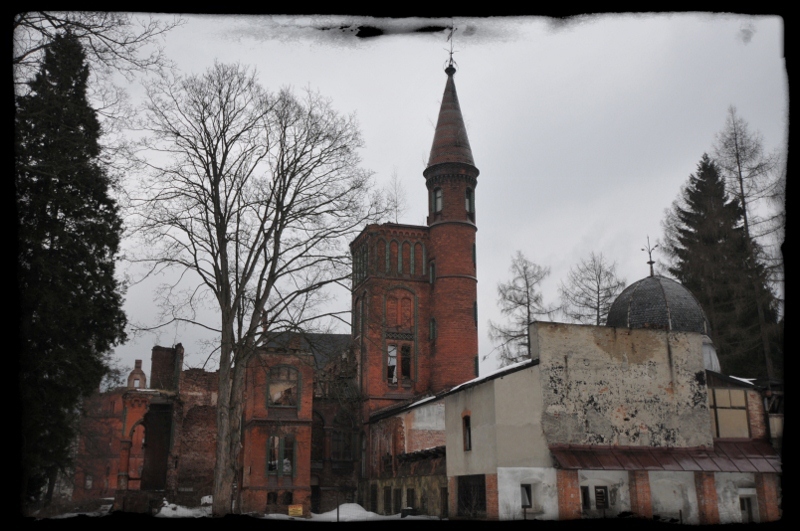 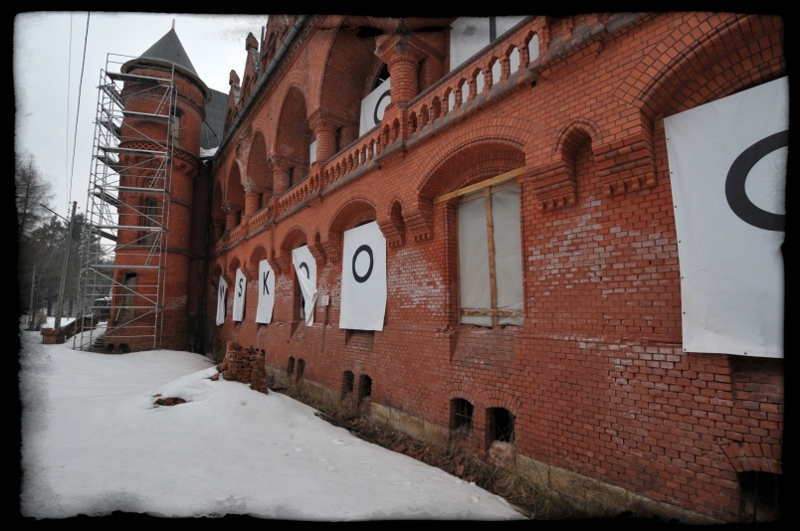 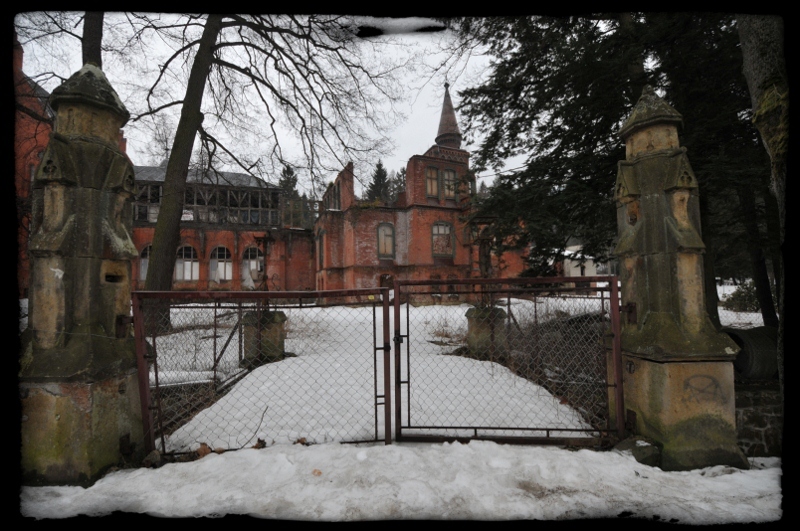 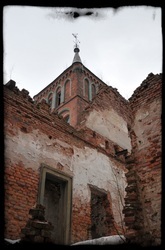 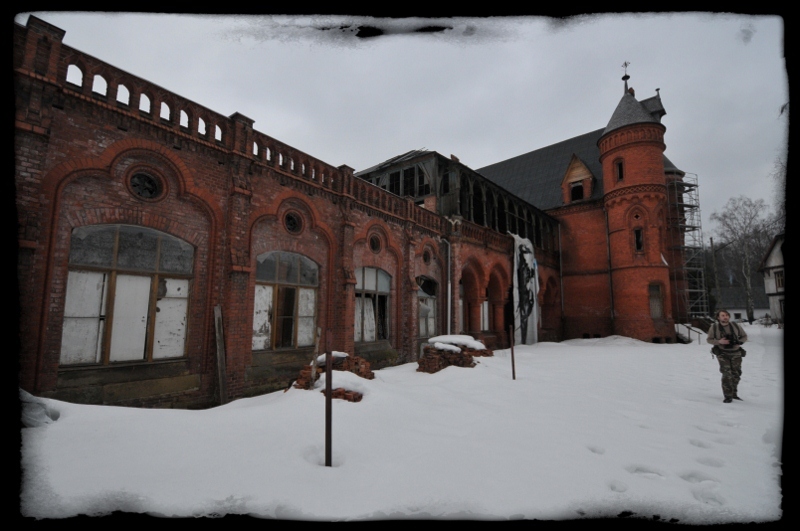 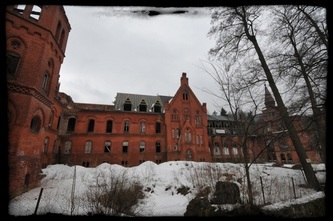 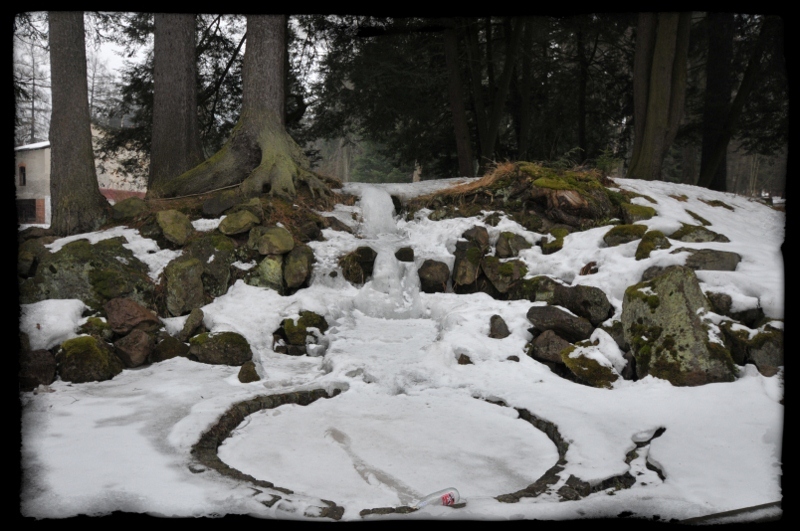 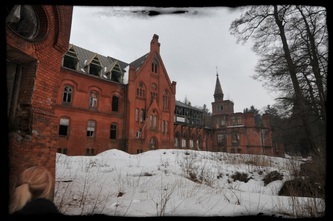 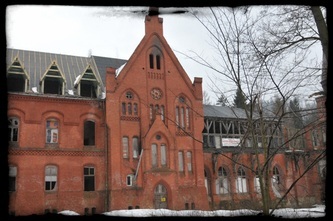 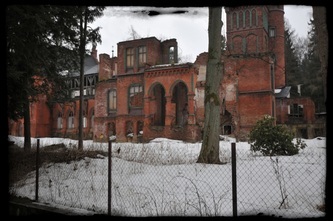 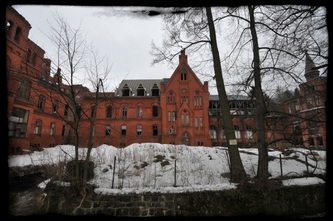 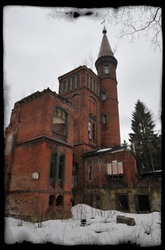 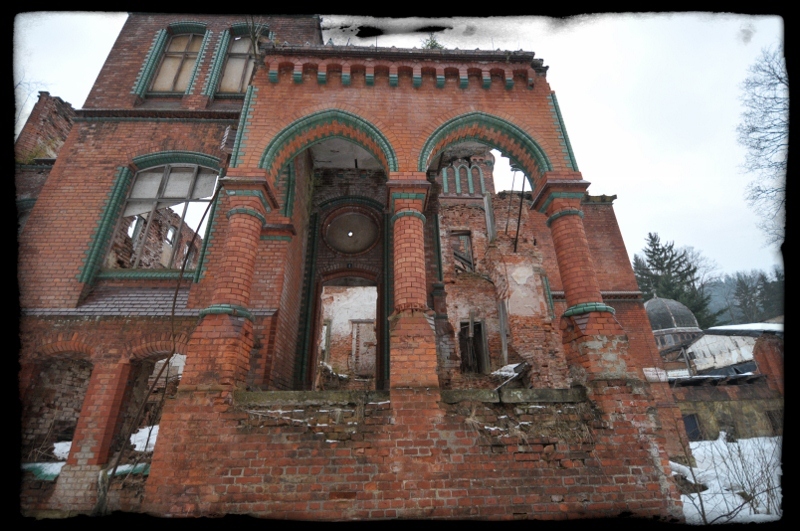 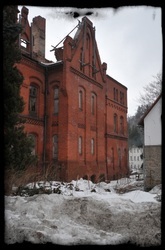 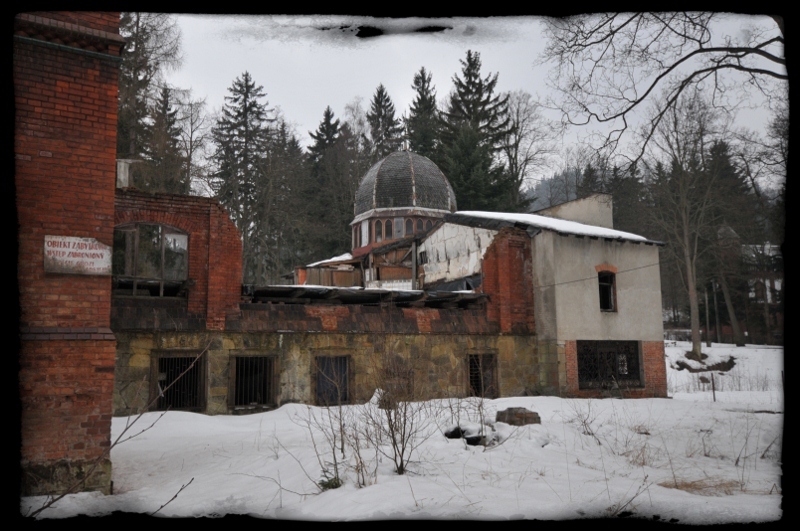 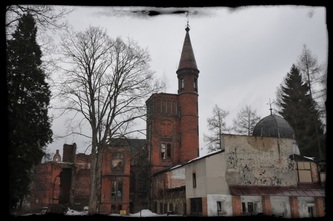 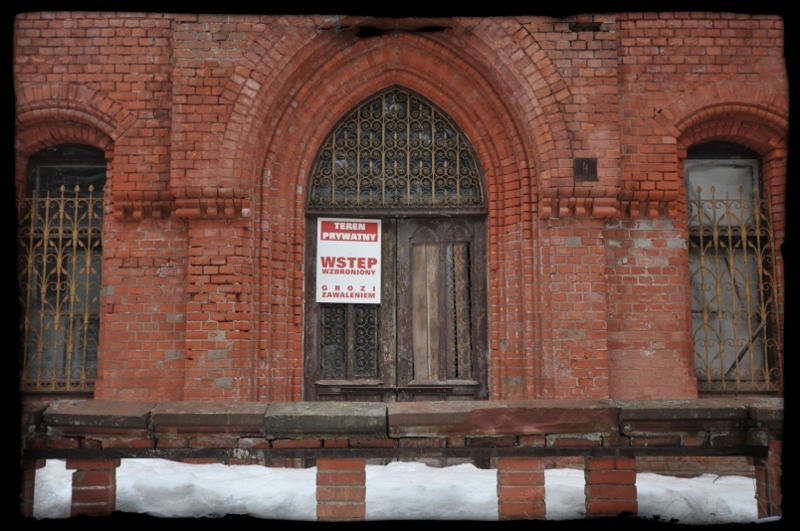 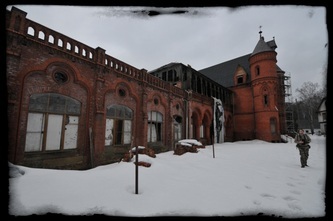 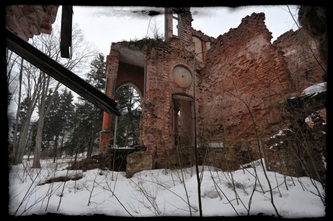 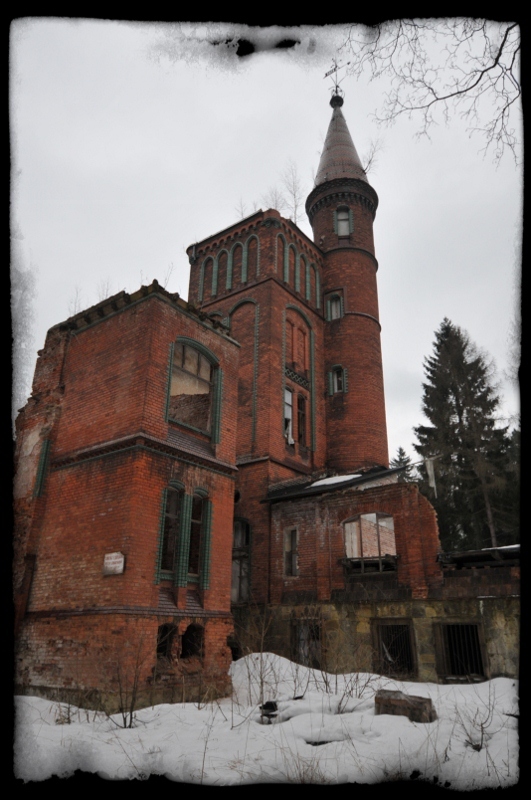 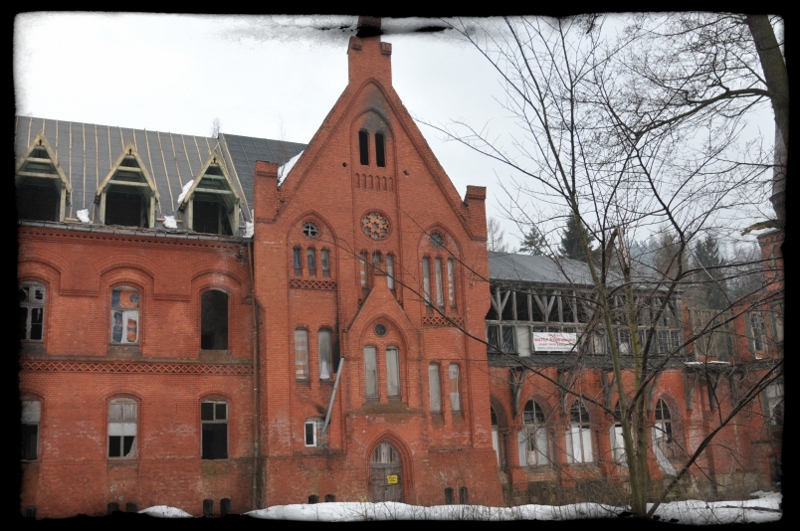 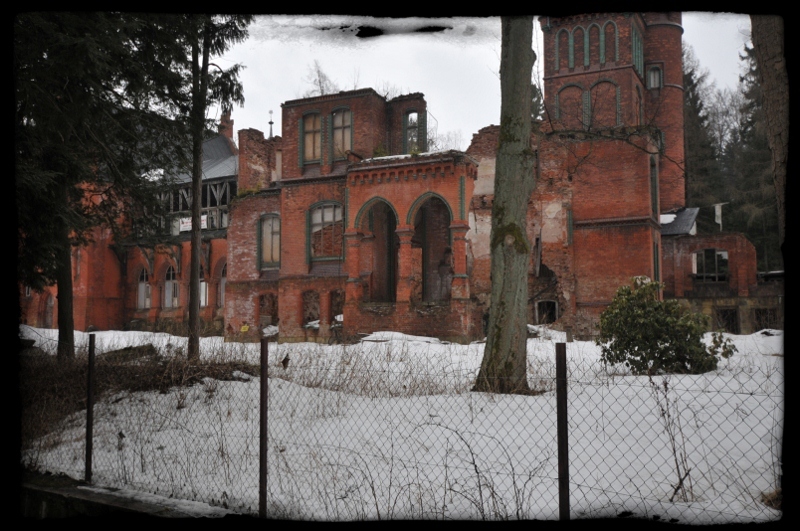 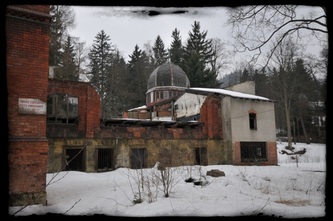 The now-called Grunwald sanatorium has continued to operate as a public anti-consumptive resort, while large parts of the facilities decayed. 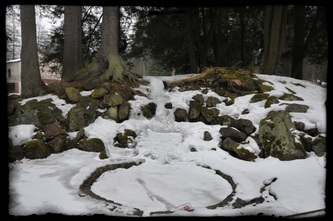 completed. 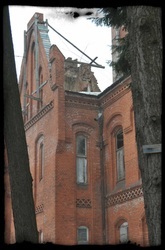 In 2005 14 fire trucks attended a fire at the site. They battled for 15 hours but sadly a majority of the structure was destroyed. 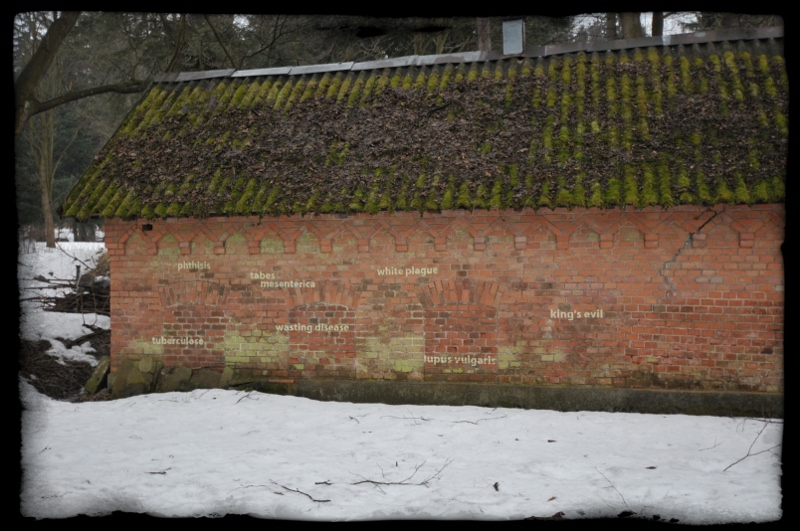 Later it was proved that the fire had been deliberately started by a local man who ironically was a member of the volunteer fire brigade! 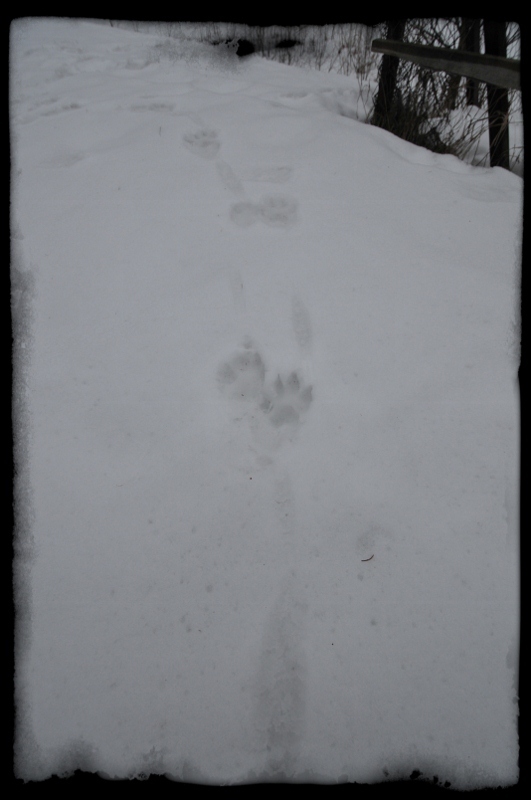 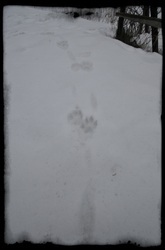 We visitied in March .... it was lovely and sunny in town, but we were up to our knees in snow at some points!